What is the Catalyst Control Center (CCC.exe)? CCC.exe errors are typical with video games. 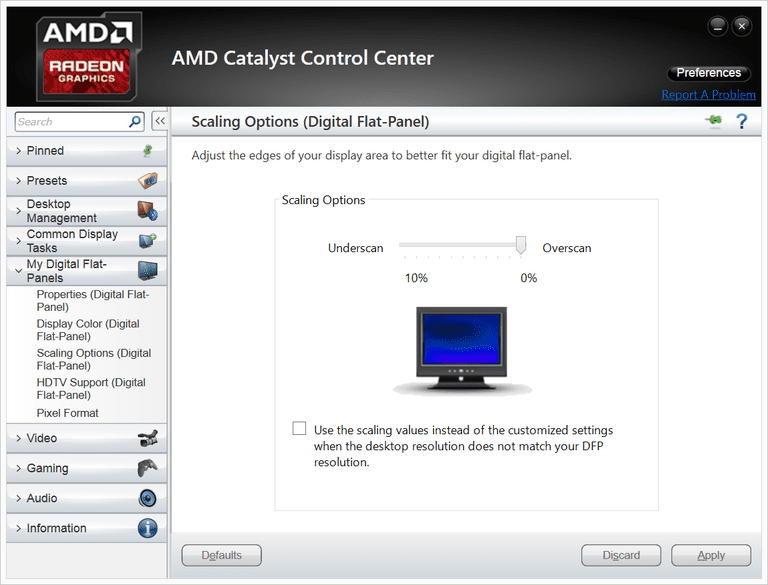 Catalyst Control Center is a utility that comes bundled with the driver that makes your AMD video card work. It shows up as CCC.exe in your task manager, and under most circumstances, you won’t ever have to worry about it. You may have to dig into your Catalyst Control Center settings if you play games on your computer, and it may require attention if it ever goes haywire, but you’re usually safe just leaving it alone. What Does Catalyst Control Center Do? Catalyst Control Center starts up when you turn on your computer because it has to run in the background to manage the operation of your AMD video card. The same software was also used to manage ATI video cards before AMD purchased ATI, so older computers with ATI cards may also have CCC.exe installed. If you don’t play video games on your computer, you probably won’t ever have to touch Catalyst Control Center, but if you do, it’s pretty straightforward. The software allows you to check for driver updates for your video card and manage the operation of the card. Some of the basic things you can do with Catalyst Control Center include changing the resolution, or desktop area, and the rate at which your screen refreshes. There are also a lot of more advanced settings that are mostly useful for gamers. For instance, you can change anti-aliasing settings within Catalyst Control Center, which can remove jagged edges from 3D objects. If you have a laptop that has two video cards, you can also use Catalyst Control Center to switch between them. This is useful if you notice poor performance when playing a game, which can be caused if the game isn’t using your high-powered AMD video card. How Did CCC.exe Get on My Computer? If you have an AMD video card, then CCC.exe usually gets installed alongside the driver that actually makes the card work. While it is possible to install just the driver, without Catalyst Control Center, it’s much more common to install them together as a package. Other executables, such as MOM.exe, are also included in the package. In less common circumstances, it’s possible that you may have been hit with a virus or malware that disguises itself as the Catalyst Control Center. If you have an Nvidia video card, and your computer never had an AMD card installed, this may be the case. Press and hold control + alt + delete on your keyboard. Look for CCC.exe in the name column. Write down what it says in the corresponding command line column. If there is no command line column, right-click the name column then left-click where it says command line. If your copy of CCC.exe is legitimate, the location given in the command line column will be something similar to Program Files (x86)/ATI Technologies. Whenever CCC.exe shows up in any other location, that’s an indication that it may be malware. This usually happens when something gets corrupted, and the most common solutions are to repair the Catalyst Control Center installation or to reinstall it altogether. In older versions of Windows, you can do this in the Programs and Features section of the Control Panel. In Windows 10, you need to navigate to Apps and Features in Windows Settings. The easier option is to simply download the newest version of Catalyst Control Center directly from AMD. When you run the Catalyst Control Center installer, it should remove the corrupted version and install a working version. Since Catalyst Control Center isn’t a necessary utility, you can also just prevent it from running when your computer starts. This will prevent you from accessing any advanced settings for your video card, but it should also stop any annoying error messages. What Does It Mean to Control Bandwidth Usage? What Is a Windows Service and How Do You Use Them? What Is Windows 10 in S Mode? Is It the Same as Windows 10?